This chart shows the placement of some of the most common patches, both required and awarded. 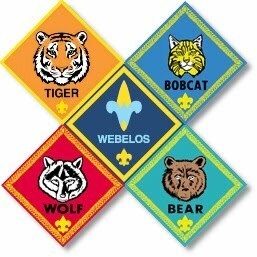 If you ever have any questions about patch placement, ask your den leader or a member of Pack leadership--we're happy to help! 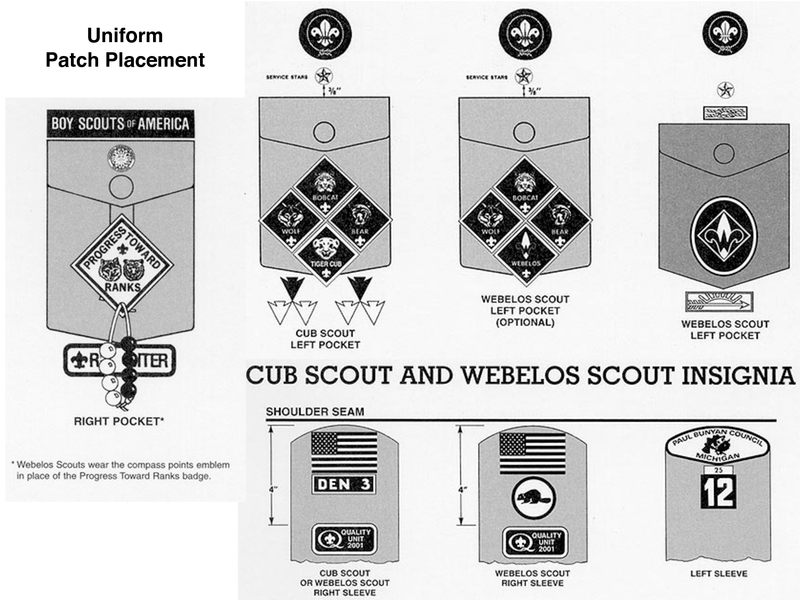 BSA patches are not typically the iron-on type; they should be sewn on or attached by patch adhesive, such as Badge Magic (available at the Scout Shop or online). Special Note: The World Crest Emblem (round, purple badge worn above the left pocket on all scout uniforms) may have a white felt backing (patches made before 2012). If you're using Badge Magic to attach this patch, carefully remove this felt backing before applying the adhesive.